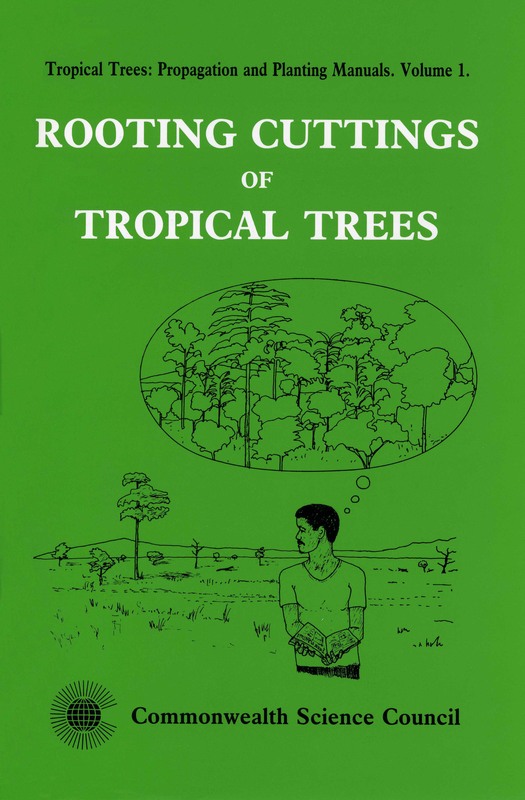 This Manual is the first in a new series of readable, illustrated handbooks for propagating and planting tropical trees. The series is designed to provide clear and concise information on how to select, grow, plant and care for tropical trees. The Manuals are intended for anyone interested in growing trees, from the small-holder to the experienced forester, in both humid and drier areas. Manual 1 is concerned with rooting cuttings in order to multiply trees vegetatively. Farmers have used vegetative propagation for centuries in growing tropical food crops. It is a standard technique for producing improved rubber trees, and is also now used for tea, coffee, oil-palm and other crops. But growing more and better indigenous trees may be the most far-reaching contribution to sustainable land use that vegetative propagation can play. It facilitates the quicker ‘domestication’ of these ‘wild’ species, encouraging both smaller ad larger growers to tap the multiplicity of potential benefits offered by tropical trees. The procedures described in this Manual can be used with the most woody species to provide diverse clonal mixtures. Such superior planting stock will help to fulfil the potential of multiple usefulness offered by tropical trees, while encouraging the conservation of genetic resources. What makes a good cutting?